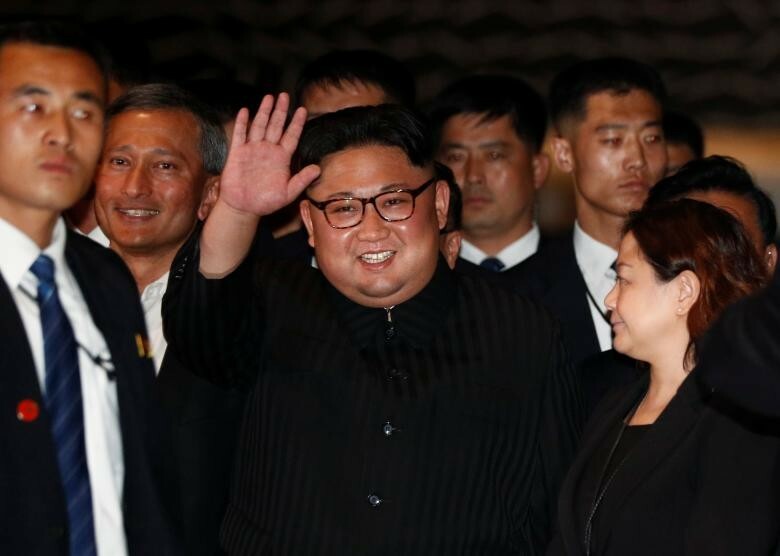 AKIPRESS.COM - The world once again got a glimpse of Kim Jong-un's suited running bodyguards as they escorted his motorcade in Singapore. But they're more than just a piece of spectacle, because when it comes to the leader's security, North Korea leaves absolutely nothing to chance. Analyst Michael Madden explains to BBC more about this mysterious group of men. When in North Korea, Mr Kim's close bodyguard has three different lines that surround him. There's a modified version of this on display in Singapore and all eyes are on the men in dark suits. 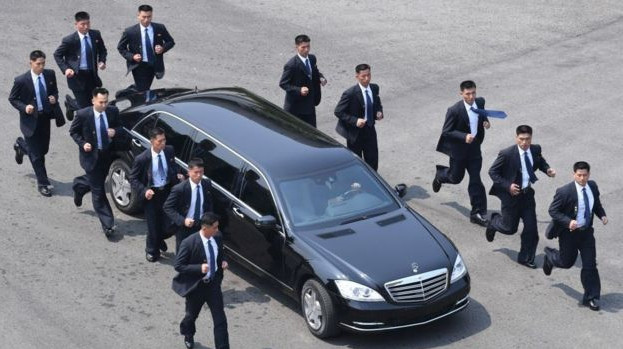 The bodyguards running alongside Mr Kim's limousine and those who walk in close proximity to him are part of something called Central Party Office #6, or formally, it's known as the Main Office of Adjutants. They form the immediate line around Mr Kim and are selected from Korean People's Army (KPA) recruits fulfilling their national service conscription obligations. Criteria for selection include a height requirement - they need to be approximately the same height as the supreme leader - and must not have any visual impairments. They must demonstrate certain accomplishments or a high aptitude for skills such as marksmanship - firing a gun - and martial arts. Finally, a bodyguard is subjected to a rigorous background investigation in which his or her family, going back two generations, is vetted. Many personnel of the Main Office of Adjutants are related to the Kim family, or to other elite North Korean families. Once they are accepted to become bodyguards (refusing the job offer is not really an option), they are subjected to an intensive training programme. Bodyguards are trained in a manner similar to the KPA's Special Operations Forces. This includes training in the use of handguns, evasion techniques and a variety of martial arts. Bodyguard trainees undergo physical endurance challenges, behavioural conditioning and physically rigorous drills. The bodyguards form a ring around him with the protective perimeter having a 360-degree view of both the people near him and the location. Walking, riding ahead, or in advance of Mr Kim are between three to five bodyguards including the director of the Main Office of Adjutants. Alongside him are between four to six bodyguards, with two to three on his right and left. Bringing up the rear are an additional four to five bodyguards. In a sign of their power in the regime, they are some of the only North Korean citizens permitted to carry loaded firearms next to their country's leader, usually a semi-automatic handgun and a back-up weapon. Despite carrying firearms, the bodyguards' main defence for Mr Kim are their skills of observation (of people near the leader and the premises), and neutralising any perceived threat with their hands and bodies. When Kim Jong-il was alive, there was a ratio of one bodyguard to two of the senior officials accompanying him. 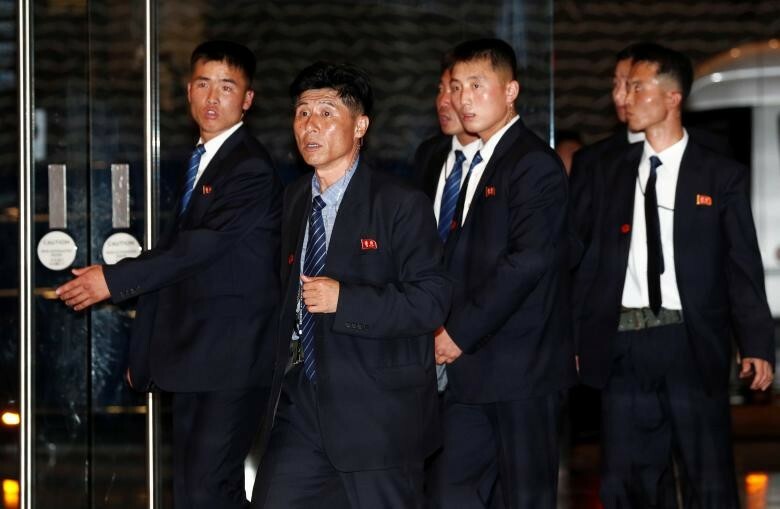 Kim Jong-un's bodyguards, in contrast to his father, are fewer in number and have a less obtrusive presence. Bodyguards are usually attired in Western-style suits and ties, as we see in Singapore, or the Zhongshan suits of party officials. Mr Kim's chauffeurs always wear linen or leather gloves to handle the steering wheel. They also use radio communications with earpieces. However, their primary communication methods are distinctly old school: they wear specific badges and pins on their clothing for a given event to establish their identification, and use a series of spoken passwords and code phrases. The Main Office of Adjutants has an estimated 200-300 personnel, of whom over half are bodyguards, and the remainder are drivers and technical staff. While some of the leader's bodyguards have long careers, most only work in that capacity for 10 years. The Guard Command (GC) comprises the second and third lines of security around Mr Kim. Whereas the Main Office of Adjutants protects the Supreme Leader himself, the GC is mainly responsible for securing the physical premises of wherever he happens to be, whether it's his office buildings, private residences or locations he visits domestically or outside North Korea. In addition to that, the GC fulfils a number of logistical or technical functions to support the leader in his job. Guard Command personnel undergo a similar selection and vetting process as Mr Kim's bodyguards in the Main Office of Adjutants. In fact most bodyguards rotate out of the latter department into the GC. Recent observation and reporting about Mr Kim's visit to Singapore noted that three planes arrived to the city state from Pyongyang. Guard Command personnel were on board at least two of these planes. These men and women are involved in a diverse number of support missions for Mr Kim. They will operate and maintain the secure telephone lines that the leader will use, as well as provide him with whatever computers he uses and IT security required. In addition to that, they have whatever liquor, foods, and cigarettes that Mr Kim will want during his time in Singapore, and will inspect any food or drink before it is served to him. It also has a medical department where his personal physicians and medical staff work, and at least two of these people are with him in Singapore. In terms of Mr Kim's personal security, the GC's #2 Department forms two of the three outer lines of security around him, and they normally focus on where Mr Kim works, stays or visits. The GC establishes one line immediately outside of the bodyguard group around him, followed by a third outer line near any roads, fences or other infrastructure within a half mile of any location. If one were to pop down to the lobby of the St Regis hotel where he is staying in Singapore, one would most certainly encounter them. This three-tier personal security structure is virtually unheard of for any other world leader. 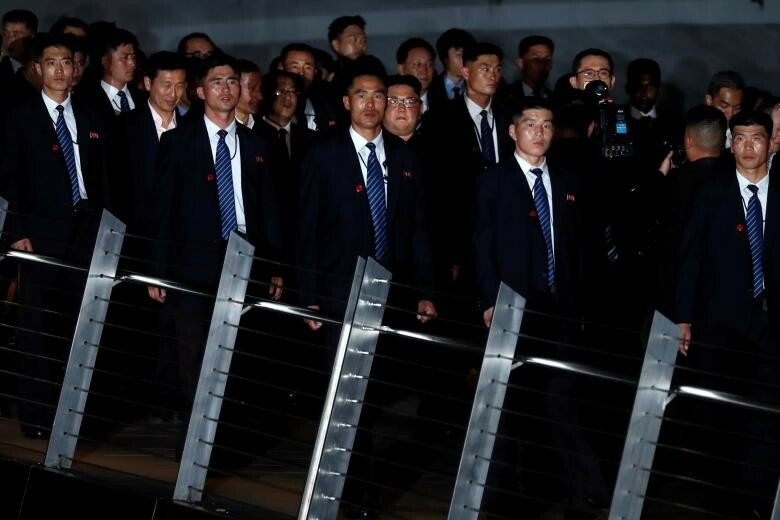 And while the running bodyguards are a striking image, it is the additional and not immediately visible layers of security further out that are the most sophisticated and extreme in the lengths they will go to ensure the preservation of the Kim dynasty. Michael Madden is visiting scholar of the US Korea Institute at SAIS-Johns Hopkins University and Director of NK Leadership Watch, an affiliate of 38 North.